This tile is somewhat peculiar. 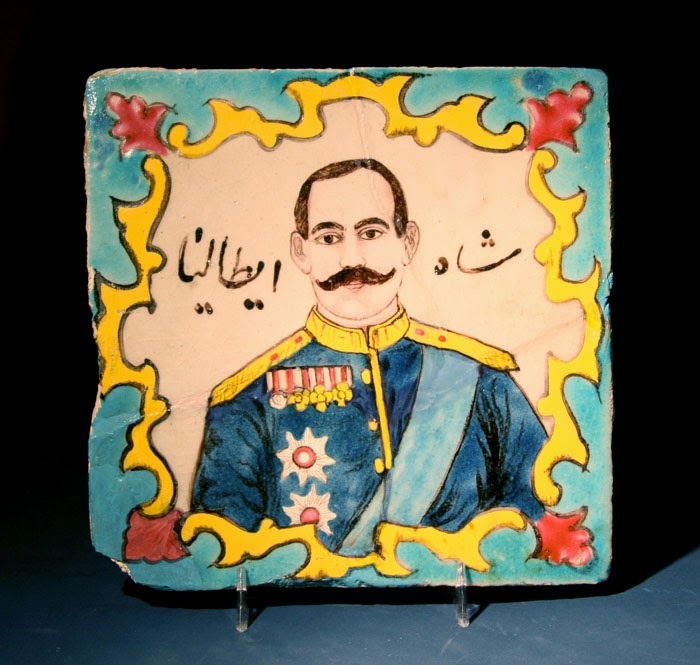 The image on the tile belongs to King Umberto I of Italy. I am still wondering why this tile was made. Perhaps it was ordered by Iranian who were interested in Italy or some Italians who were present in Persia at the time.